Upcoming Kulfi Kumar Bajewala Sikandar and Amyra are thankful to Mia. Sikandar goes to meet the show’s judge. 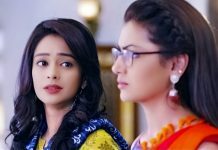 Mia tries to gain information about Kulfi from Amyra. She asks her how will she win, when there is a lot of competition. Amyra tells Mia that she will practice hard and win. Mia asks her not to be overconfident, just one person will be winning the contest. She asks Amyra to keep everyone threatened and show how strong she is, so that she wins at any cost. She assures Amyra that she will help her. Amyra works on her plans and makes a gang of her own. She insults Kulfi and her friends. Mia gets enjoying the new drama. She wants the staff to cover the fight so that they can raise TRP. Amyra gets on humiliating Kulfi. Kulfi tells Amyra that its a bad thing to make fun of someone’s poverty and helplessness. She tells Amyra that the kids are true, unlike others. She asks Amyra not to blame them without any proper information. Mia is upset with pandit ji’s self boasting. The judge Pandit ji tells the music teacher Mahesh that the kids of Benaam group are useless. Mahesh wants to train Kulfi and gang. Pandit ji feels the group isn’t worthy to win, and he will stop them from winning. Mia knows he is egoistic and jealous of others. She asks Mahesh not to do wrong with the kids and train them, so that they win and also prove him right. Mahesh agrees to prove himself. Sikandar meets the kids. Kulfi takes his blessings since she loves him a lot. They both are connected with hearts. She recalls his words. She feels sad that he denied to accept her in love. She still wants to respect him. Sikandar senses Kulfi around and fails to see her. He wishes that he could get Kulfi here. He feels he can’t apologize to Kulfi, since he has lost all the rights. He prays that Kulfi stays fine and succeeds in life. Mahesh trains Kulfi and the kids. Kulfi tells Mahesh that she already knows much. She sings and surprises him. He is impressed and asks them to keep practicing, so that they perform well by hard work. Kulfi asks the kids to practice with her. The kids find it very tough. Kulfi wants ways to explain them the simple music learning process. Mahesh finds them singing and tells them that he can’t teach disobedient kids. He asks Kulfi not to make fun of music. He decides to not master them. Sikandar teaches Amyra that the student should always respect the teacher. He asks Amyra to always listen to her teacher and obey. Kulfi takes the lessons from him, staying far. Amyra is happy that Sikandar is teaching her. 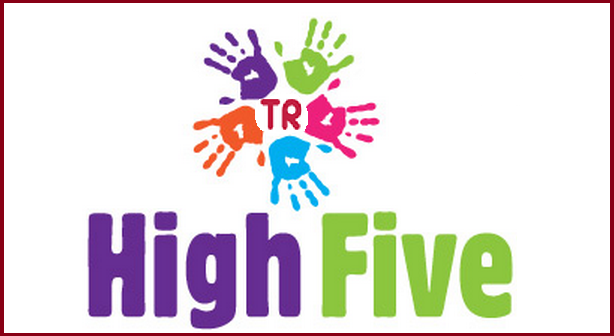 He tells Amyra that teacher holds a place above parents, and students should always remember this. Kulfi apologizes to Mahesh and convinces him by her innocence. She wants to follow his advice and obey him. Mahesh melts his heart when the kids apologize to him. He wants them to work hard. He gets convinced by them. He wishes them all the best. Mia finds Kulfi and Sikandar in one frame. She wants to know their connection to get a twist in the story. Mahesh trains the kids. Amyra is unhappy watching Kulfi progressing. Mahesh is sure that Kulfi and her team will surely win. Sikandar and Kulfi come face to face on the stage. How will Sikandar react to this new finding? Keep reading. Nimrat and sikandars daughter kulfi is sikandars daughter. Not that amyra, a very selfish, cheap, disgusting, silly, idiot, bad, mad, same like her mother lovely. That very selfish, cheap, disgusting, silly, idiot, bad, mad, amyra is tewar and lovelys daughter, not that sikandars daughter. I love kulfi and I hate amyra lovely. 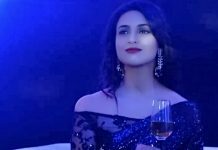 But now I hate sikandar also, because, sikandar has done/doing wrong with his and nimrits own daughter kulfi for that amyra, a very selfish, cheap, disgusting, silly, idiot, bad, mad, same like her mother lovely. And another thing that if lovely amyra thinks that sikandar is not kulfis father and kulfi is not sikandars daughter, then amyra is also not sikandars daughter, and sikandar is not amyras father also. 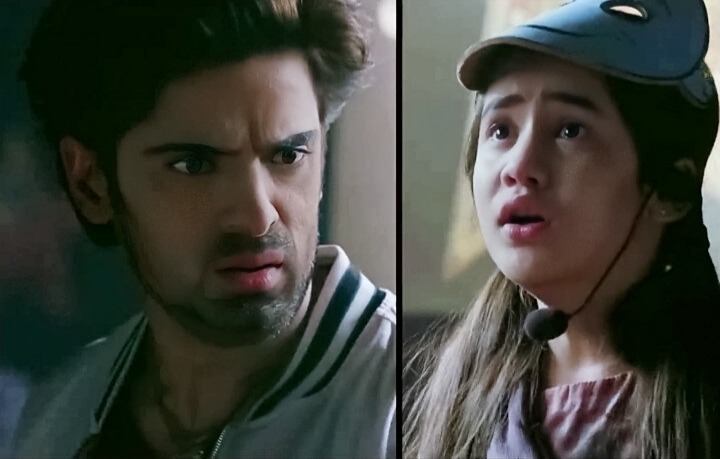 And another thing that if lovely amyra thinks that kulfi is should not allowed to stay with sikandar and his family, in that house, then lovely amyra is also should not allowed to stay with sikandar and his family, in that house and in this serial kulfi Kumar bajewala. If lovely amyra hate kulfi, dosen’t like kulfi, its OK. If lovely amyra dosen’t like to talk with kulfi, it’s okay. But let kulfi stay with sikandar and his family, and if not then make lovely amyra out of this serial kulfi Kumar bajewala.